Raise a Service Request through Mobile App with image/video capture. Immediate access to Solution Bank (knowledge base) that will assist your service technician to identify what solution is given for any incident from the historical data. We understand the need to transform your Field Service Management business digitally and enhance your Equipment, Customer satisfaction and Workforce. Get Your FREE InnoMaint CMMS Trial Now! Get Your Free InnoMaint FSM Now! Introducing InnoMaint Cloud Based Software that cater all your Field Service business specific needs. 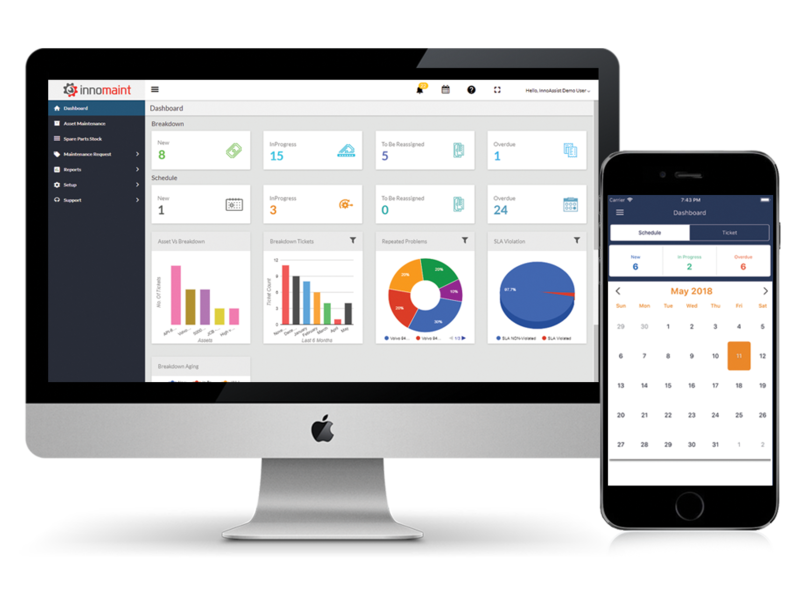 Innomaint is a cloud-based HVAC Field Service Management (FSM) Software that monitor, measure and manage your HVAC technicians, scheduling and execution of the workforce from anywhere, at any time through web and mobile applications. 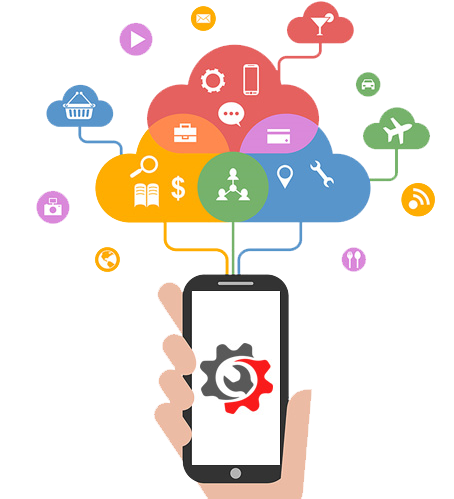 Mobile app for your service engineers/technicians and your customers. 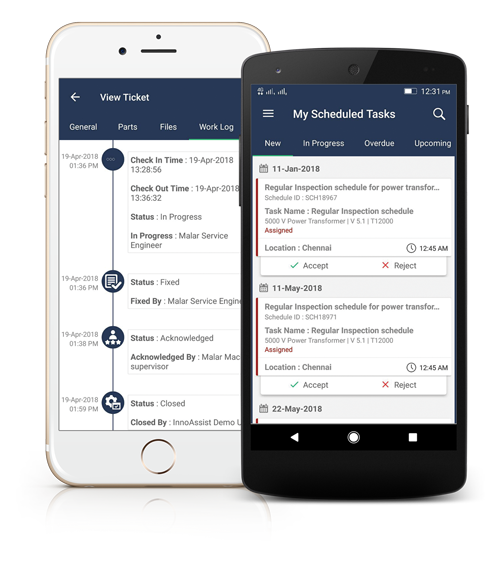 Instant mobile app notification of your scheduled preventive maintenance tasks and new service requests. You can get Real-time location of all technicians to assign the tickets easily. You can easily Manage installation, service or repairs of systems or equipments, HVAC system, Plumbing, Electrical, Mechanical, Fire protection, Security & Safety. Improve data collection with features such as geo location tracking, image/video capture, barcode/QR code scanning, and digital customer signatures. Advanced Multi Location management helps you to improve operations and manage multi sites anywhere at anytime. Powerful Dashboard and KPI Reports helps you to take the decision.